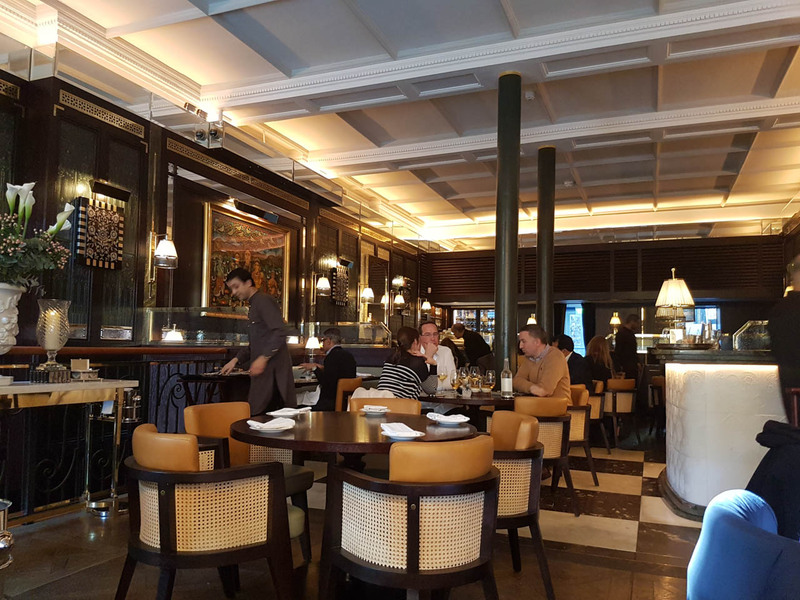 One of my favourite Indian restaurant experiences was when I visited the Michelin starred Gymkhana, so when I head that a new restaurant had opened up in Mayfair which is headed up by a former Gymkhana chef I was excited. 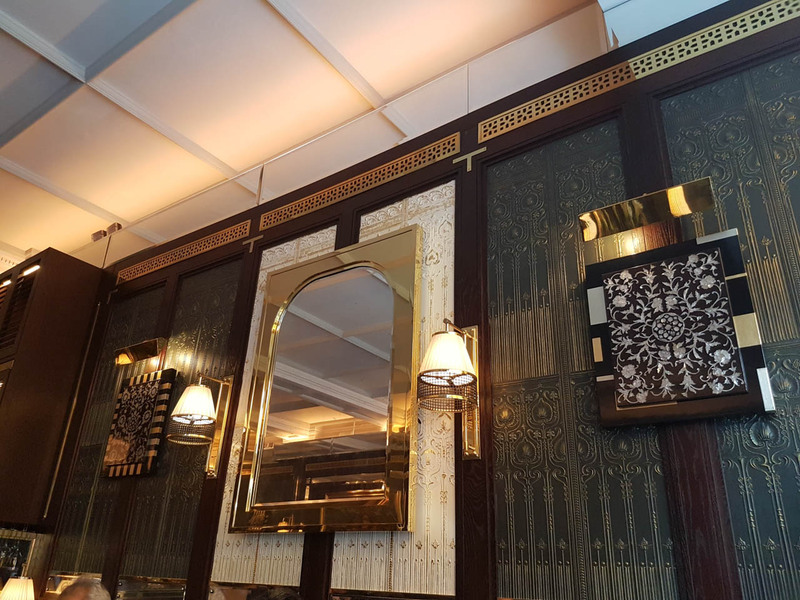 The decor is stylish, modern luxury combined with traditional Indian elements and does share a similar style to that of the colonial Indian dining room. 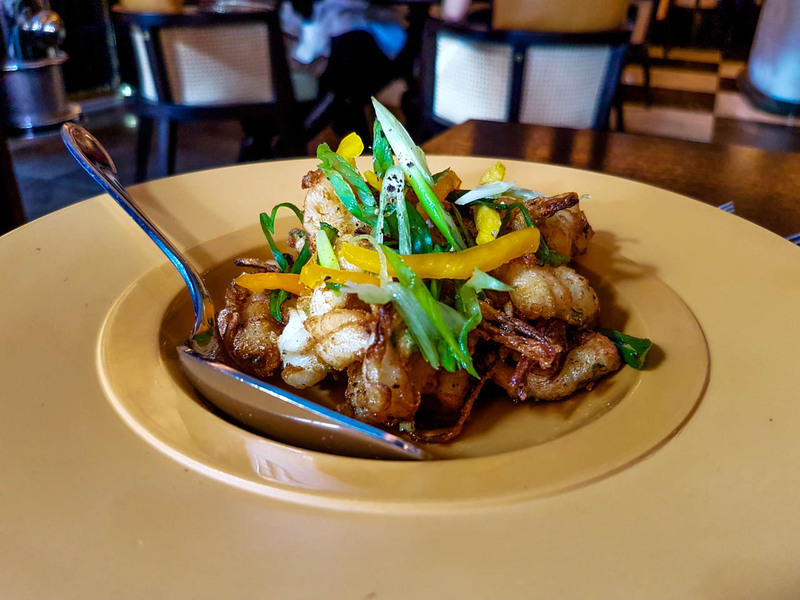 I knew that I was going to try the set menu, I find that they tend of offer really good value as you get to try high priced menu items for a fraction of the cost as well as get additional extras. 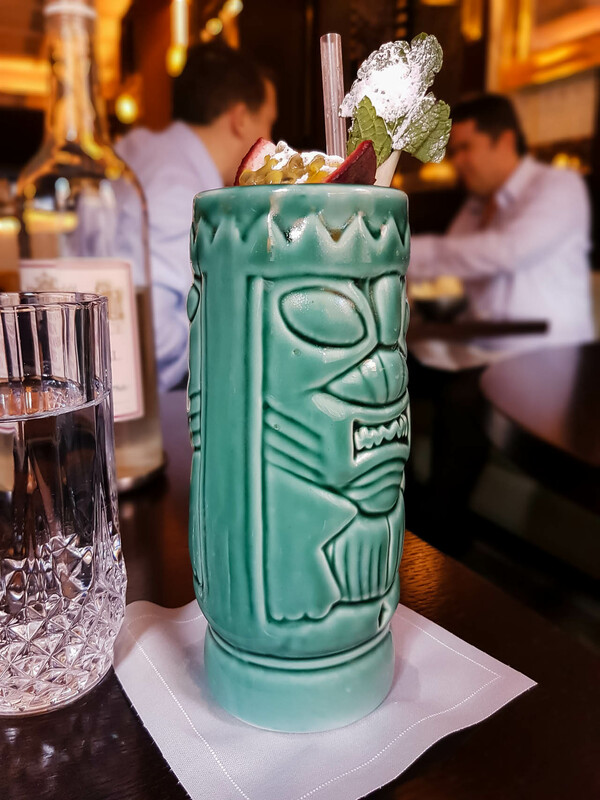 I started the lunch with a mocktail, I got the Ganjanm, lemongrass, passion fruit juice, orange juice, pineapple juice, syrup – Five pounds. Not a bad price for a mocktail in Mayfair! 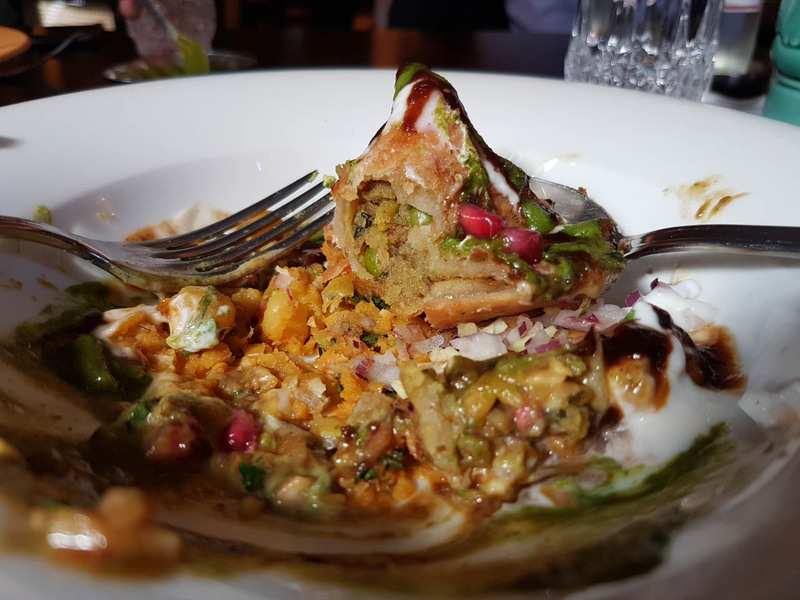 For starters, I ordered the Samosa Mutter Chat, served with honey yoghurt, sev, papdi dry pea. The dish was well presented and well put together. 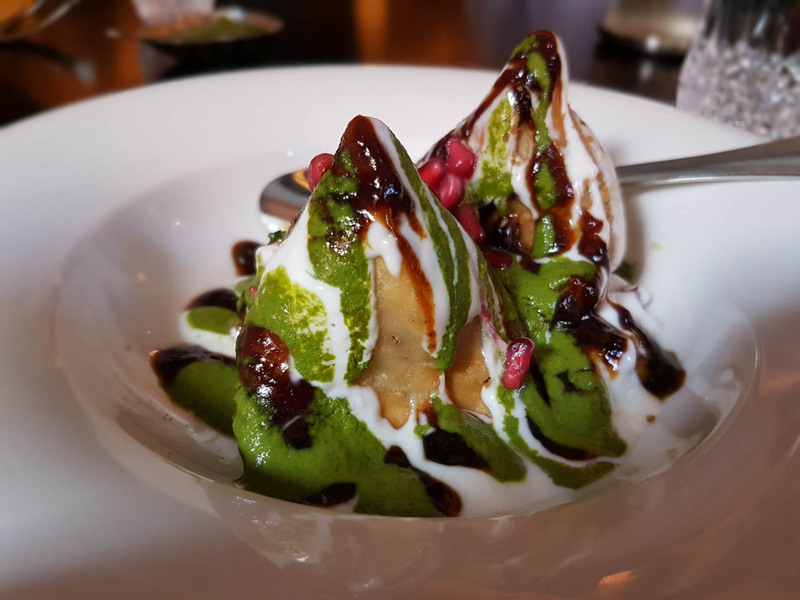 Despite being a simple samosa, the taste of the sauces lifted the dish and brought out flavours and texture. 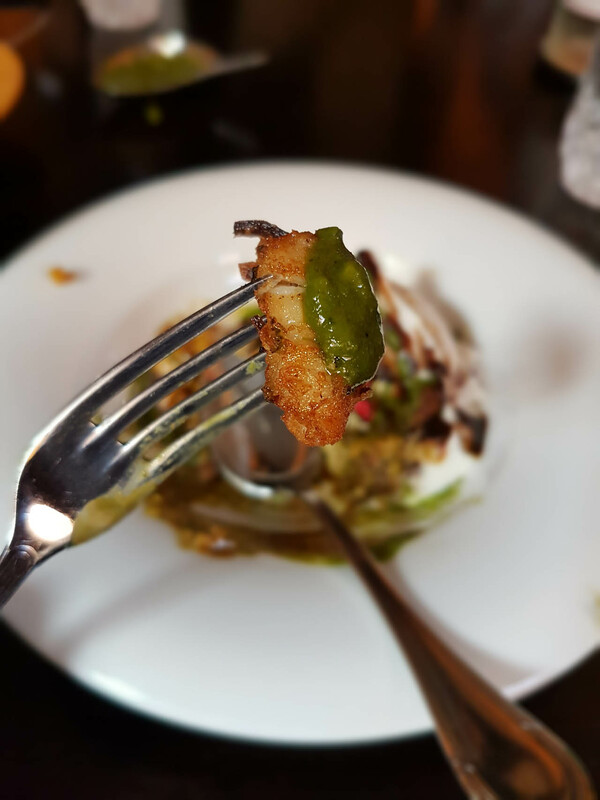 I also tried Chilli Pepper Squid, made with green onion & tellicherry black pepper. My friend only gave me 2 pieces, but from what i had it was perfectly cooked, good portion size and tasted great. 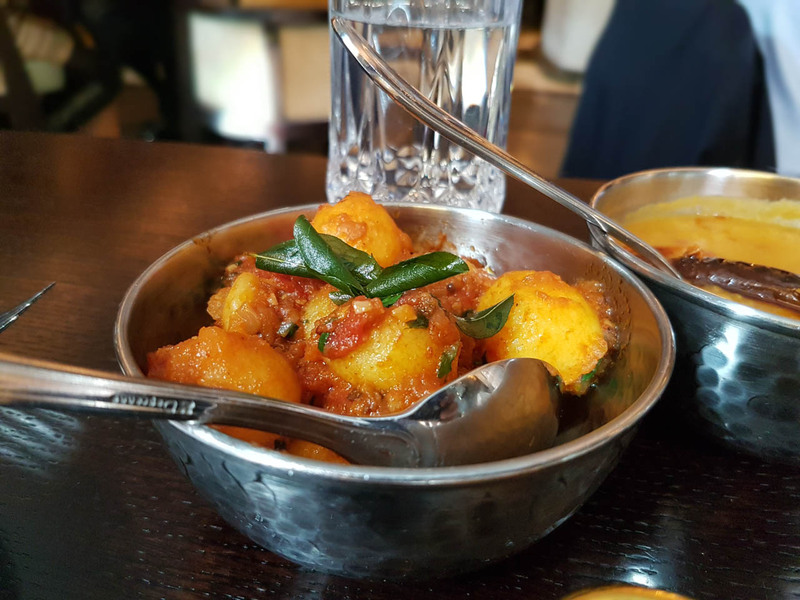 Despite only being open for a few weeks, one dish that was getting a lot of buzz was the Stone bass tika. So we both got this. 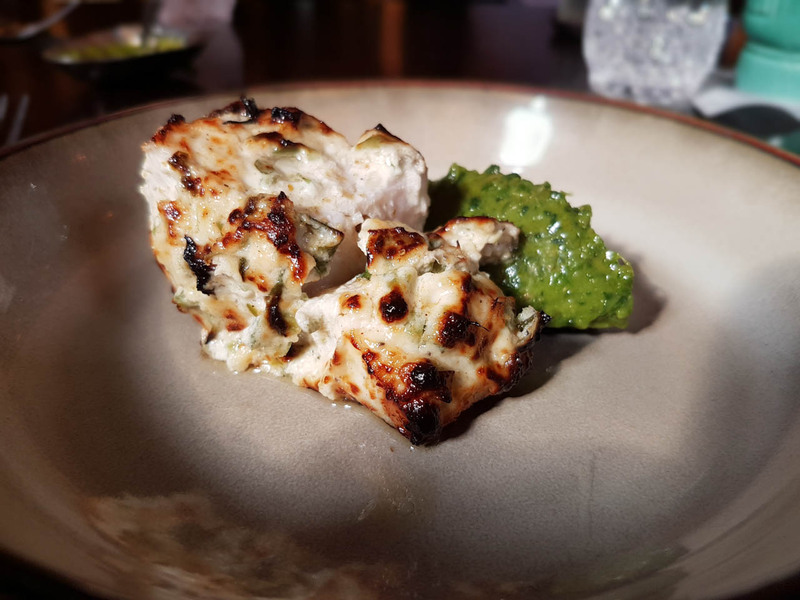 Malai Stone Bass Tikka served with mace, green cardamom & avocado chutney, have to say this was one of the most perfectly cooked pieces of fish I have ever had! So soft, delicate and tender, this tasted great. 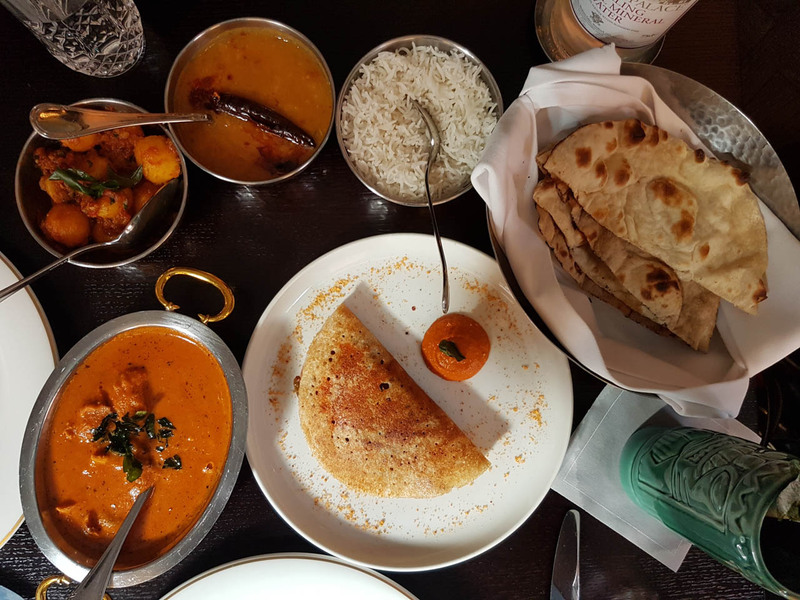 For Mains we shared an Old Delhi Butter Chicken, which was char-grilled & pulled chicken, cooked with fresh tomato and fenugreek. 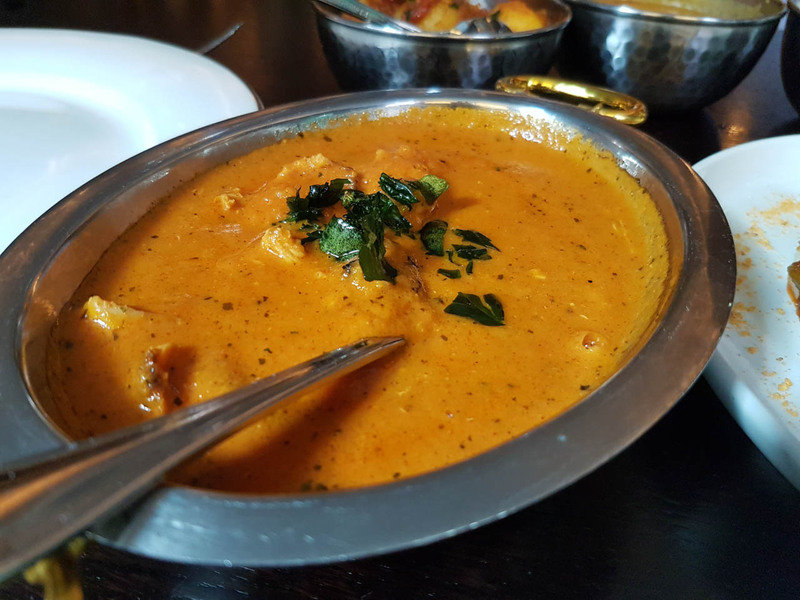 The flavours were subtle and had a balance of sweetness and spice, it could have more depth in flavour for my liking, but I did like the richness of the thick creamy sauce and the chicken was perfectly tender and soft. 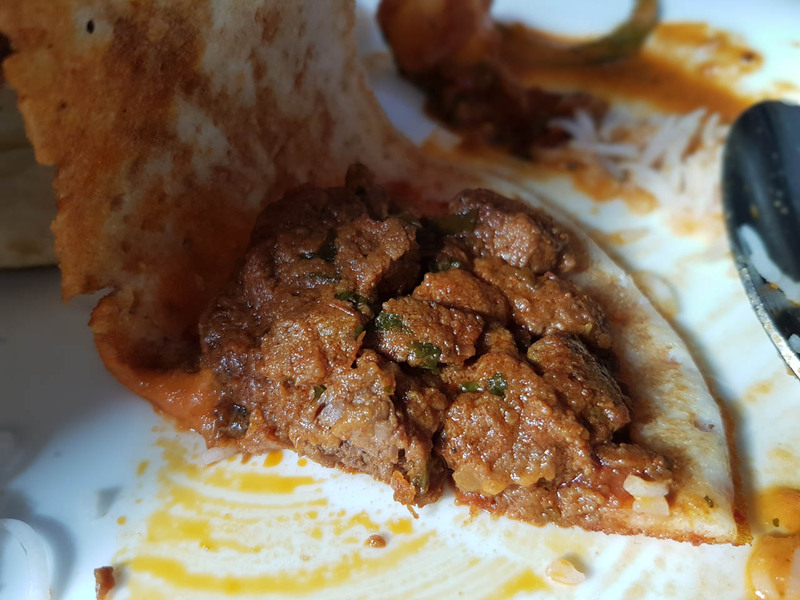 Also got the Beef Uppu Uthappam, which is like a dosa but is actually a crisp and crepe-like, pancake. The beef is slow-cooked in mustard & southern spices. For me this was the weakest dish I ate, I’m not a fan of mustard so i didn’t like the taste of the beef. 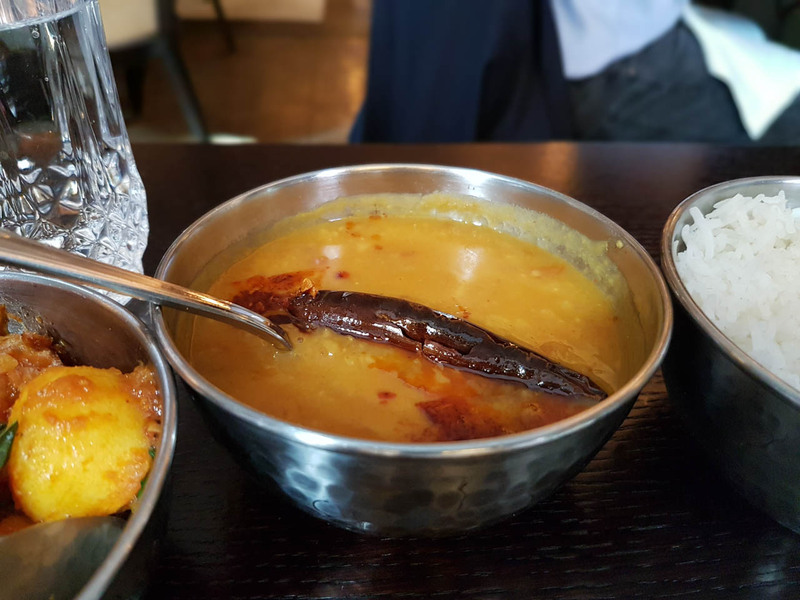 We also were served with dhungar dal, which was simple but tasted good / aloo udaigiri, which is New Potatoes stir-fried with spices, this was not great, to simple and not cooked well / basmati rice and mixed naan. 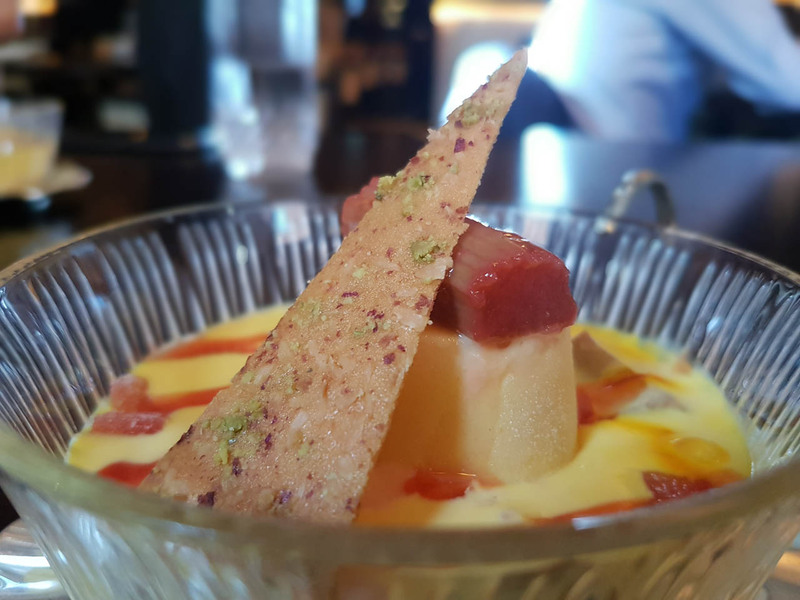 For dessert I got the rhubarb Chuski Falooda made with basil seeds, saffron & rose petal kulfi. We were limited to only one dessert from the set menu as the other option was cooked with alcohol. I don’t often eat rhubarb so this dessert was just okay, it looked great but was not the best. In retrospect, I should have got the 3 course and ordered the chocolate fondant instead. 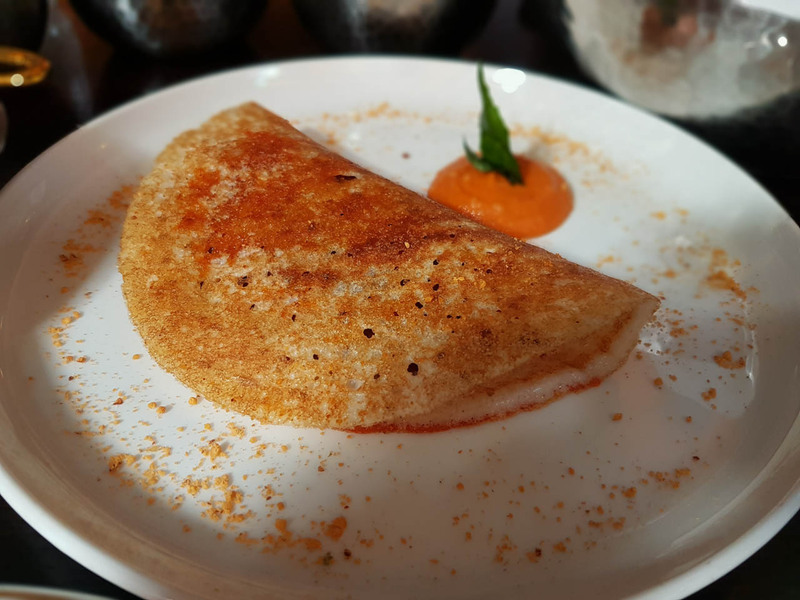 The service was great from start to finish, from the point i reserved a table and received a booking confirmation to the end of the meal, it felt like an experience and one where we were well looked after. There was a slight delay in giving food menus, but i think that’s because me and my friend both looked like we were businessmen on a slow lunch, so they wanted us to order drinks. 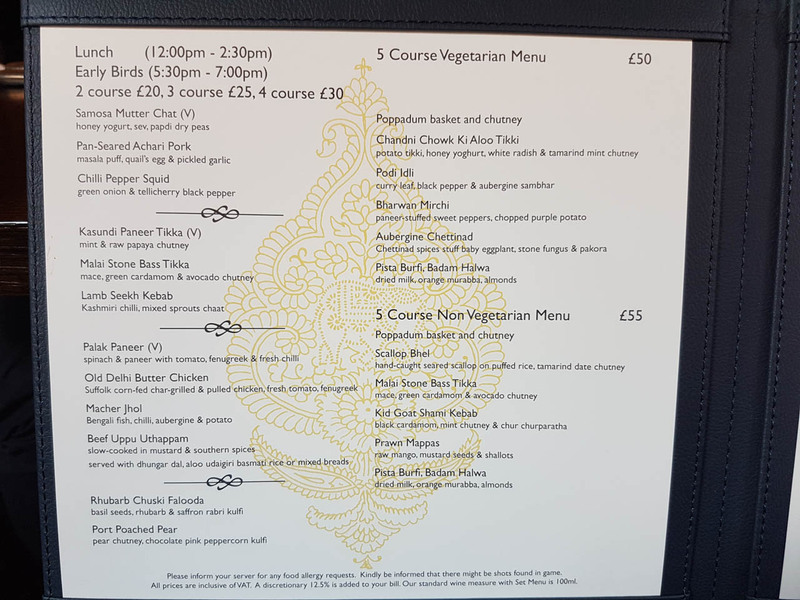 I recommend visiting here either for lunch or getting here before 7pm and trying the set menu as it offers great value for menu and a sample of the menu. I am sure It won’t be long before Jamavar is awarded a Michelin star. Hey Buddy!, I found this information for you: "Jamavar". Here is the website link: http://halalfoodguy.co.uk/jamavar/. Thank you.